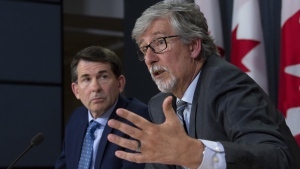 TORONTO -- Three prominent former politicians who negotiated the inclusion of the notwithstanding clause in the Charter of Rights and Freedoms are condemning the Ontario government's use of the rare provision to push through legislation that was deemed unconstitutional by the courts. Former prime minister Jean Chretien, former Saskatchewan premier Roy Romanow and former Ontario attorney general Roy McMurtry issued a statement Friday saying the clause wasn't meant to be used in this way. "The clause was designed to be invoked by legislatures in exceptional situations, and only as a last resort after careful consideration," they said. "It was not designed to be used by governments as a convenience or as a means to circumvent proper process." The three men urged Ontario's Progressive Conservative legislators to break ranks with Premier Doug Ford, who announced Monday he would invoke the notwithstanding clause to override a judge's ruling on legislation concerning the size of Toronto's city council. "We condemn his actions and call on those in his cabinet and caucus to stand up to him," they said. "History will judge them by their silence." 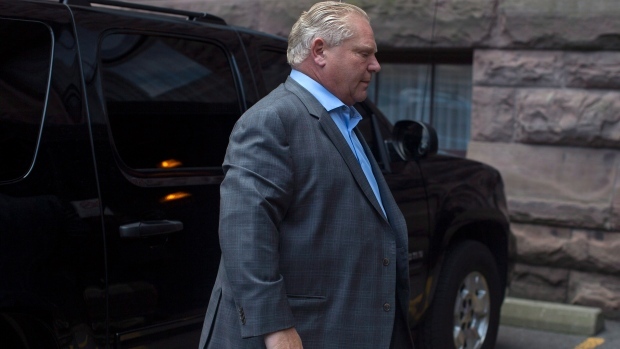 When asked about the comments, a spokeswoman for Ford said the Ontario government was using the part of Constitution "designed specifically to ensure that the will of an elected legislature is respected." "Section 33 makes it clear that the elected legislature, not the judiciary, should have the final say over certain laws," Laryssa Waler said in a statement. A Toronto judge this week struck down legislation to slash the size of Toronto city council in the middle of an election, saying it infringed on voters' and candidates' right to free expression. Ford justified using the notwithstanding clause when he reintroduced the legislation, saying that "politically appointed" judges shouldn't interfere with democratically elected governments. The premier also touted Chretien as a supporter of the clause when pressed on the issue during question period Thursday. Former Tory premier Bill Davis has also spoken out against Ford's decision, as have Canada's big city mayors and all 25 Liberal MPs from Toronto. Toronto city council, meanwhile, has asked the federal government to intervene. Prime Minister Justin Trudeau has said that while he is disappointed by the Ontario government's decision, he will not wade into the debate. Ford's invoking of the notwithstanding clause marks the first time it is being used in Ontario.